Pfc. Lewin J. Berry, son of Mrs. Mary E. Berry, Attended school in Texas. 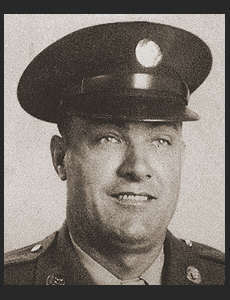 Entered the Army in April 1942, trained in Camp Forrest, Tenn.; served in Fiji, New Hebrides, Guadalcanal, Bougainville. He also did duty in Ft. Lewis, Wash. Awarded Good Conduct Medal, Asiatic Pacific Ribbon with two Battle Stars, Combat Tnf. Badge.